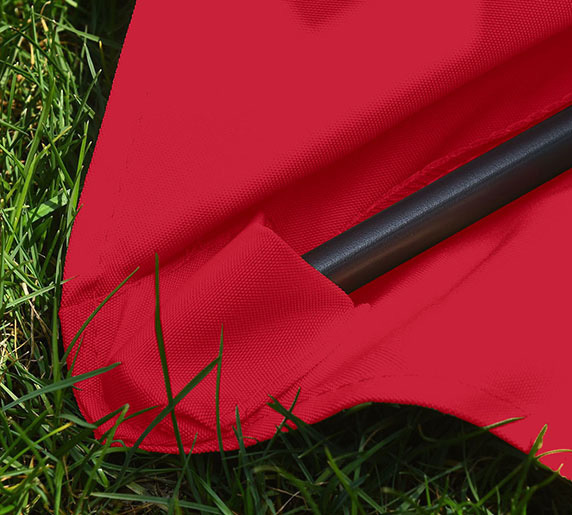 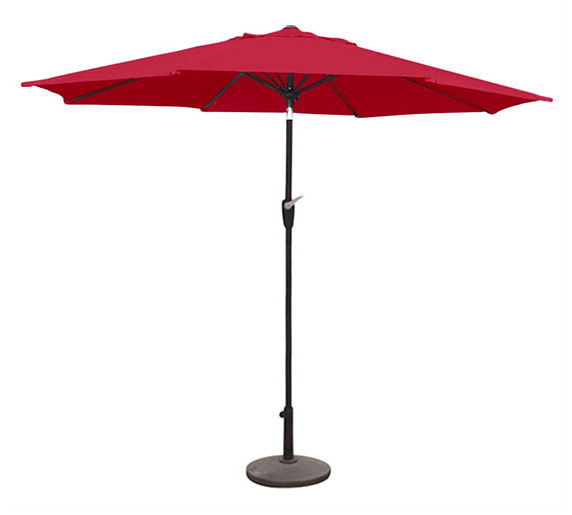 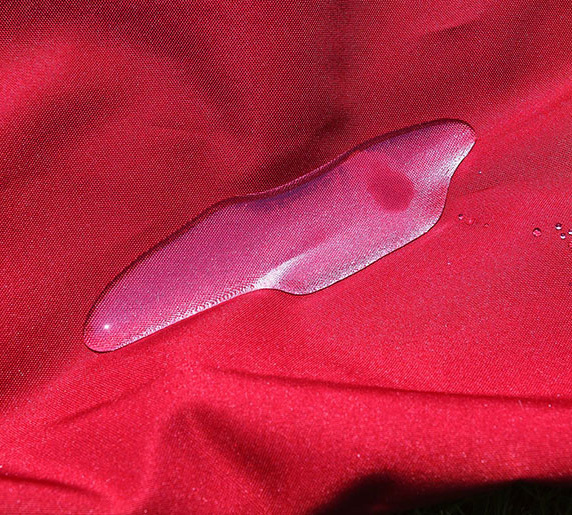 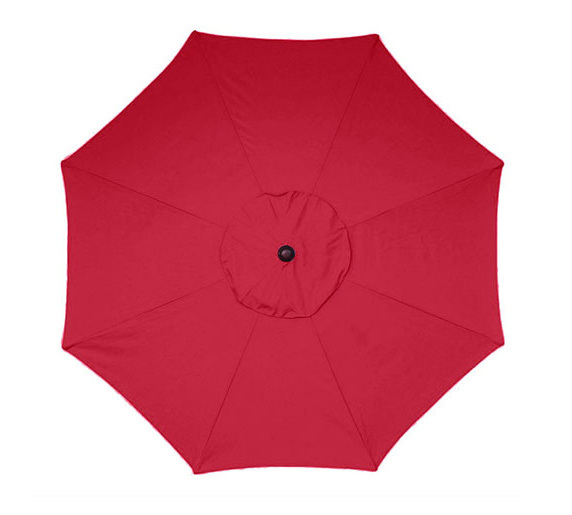 This red garden parasol can provide you a large cool area for your outdoor patio or deck. It has a height of 2.4m and there's a vent on the top. 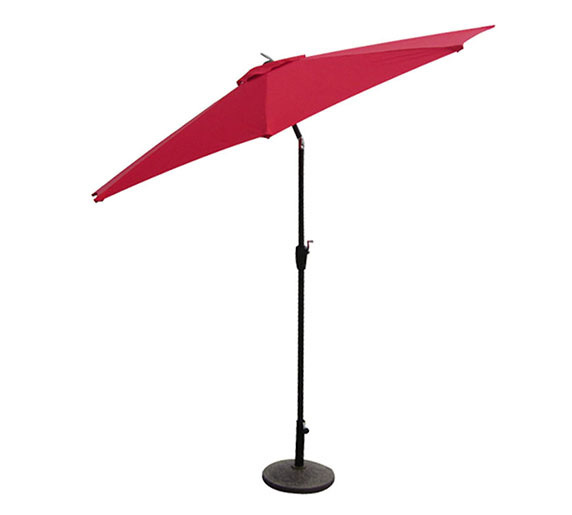 The cover is made of 180g polyester and measures 2.7m in diameter, which supported by 8 aluminum ribs. 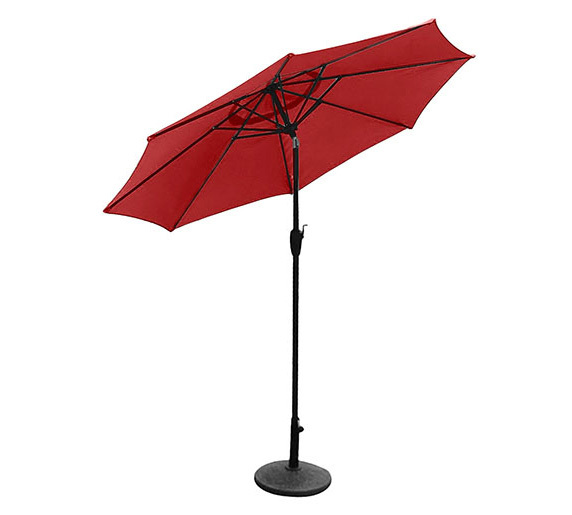 The cover can be easily titled to 3 positions. 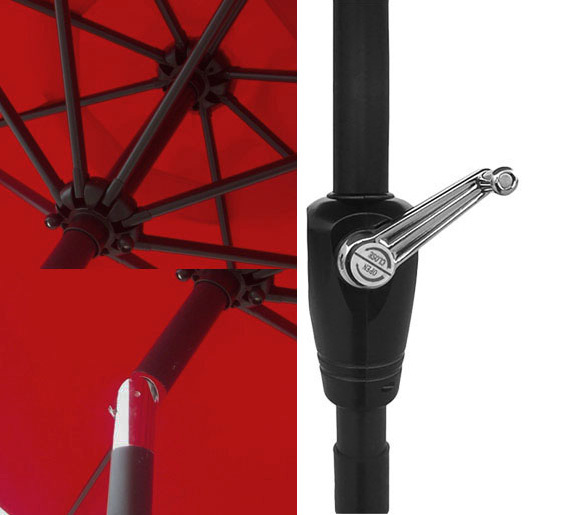 The main pole is also made of aluminum.